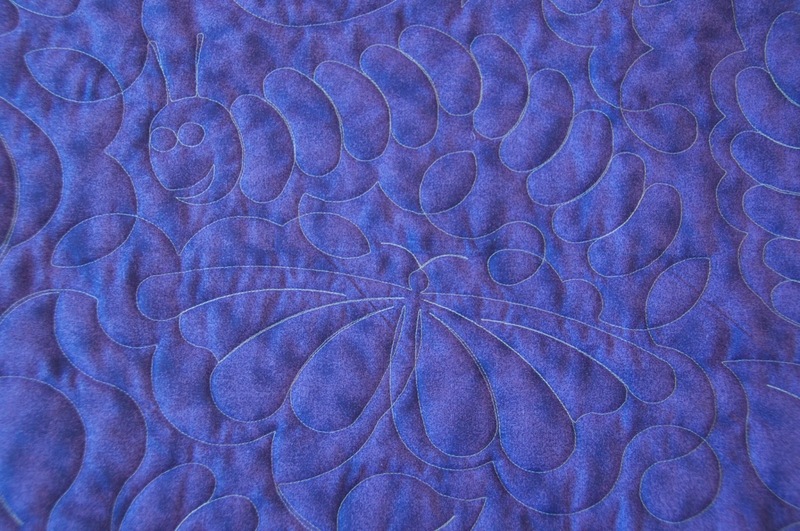 Recently, being unusually organised, I went in search of fabric for a quilt for a baby that's due at the end of October. 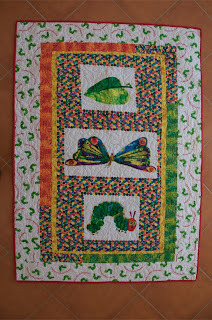 I found a kit for a Very Hungry Caterpillar quilt and was immediately won over. So I purchased the kit and made it up the next morning (it's so easy working with a centre panel and ready cut strips). 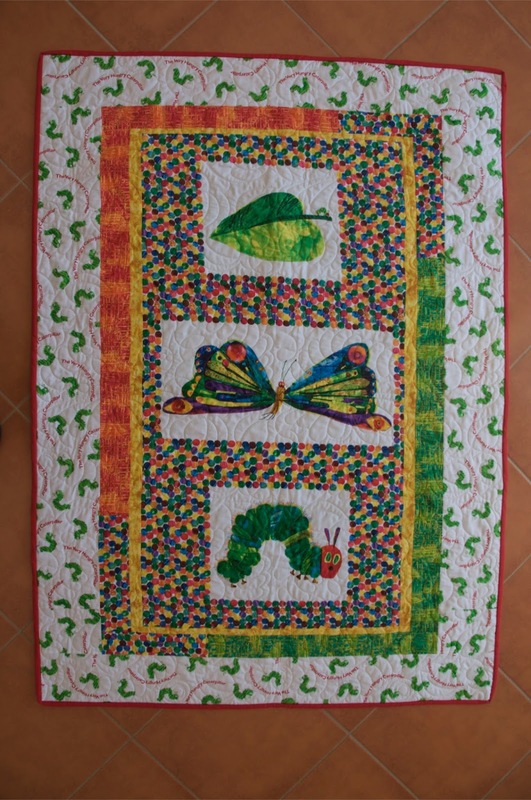 I've always quilted my quilts myself but the one in the shop had been commercially quilted with a caterpillar, butterfly and leaf pattern (see detail of reverse below), so I sent it off to be quilted and was very pleased with the result. Being organised pays off obviously. 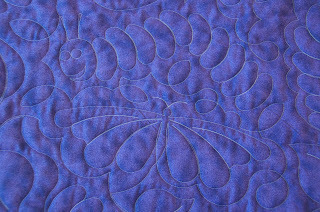 A lovely little quilt. Hope the next one goes as well.